This is a question I ask myself regularly. I have been part of the school system as a teacher for almost 20 years. If you do something for that long, it must be because you believe in it, right? My intentions were never to stay in education for very long. I thought it would be something I did while I figured out what I really wanted to do. I love the idea of school – a place where kids and teachers come together to learn from and with each other. A couple of years ago I even began to “Imagine A School…” My vision of school is not the same as yours – not in its entirety. I think we all think differently to some degree when we think about school and what it could and should be. My husband showed me a remarkable slideshow of children heading to school in various parts of the world. Despite floods, garbage lined streets, kilometers of soggy rice paddies, and the brutality of war, there are children who are determined to go to school, come hell or high water – literally. They endure such hardships in order to simply go to school. I look at these pictures and I know the kids at my school do not face such hardships, but they do have their own rivers to cross: divorce, language barriers, departed friends, being new. And all for what? Why are they coming to school? What am I adding to their experience once they get here? How will I make it worth the journey? To help me synthesise my thoughts, I am re-reading “Why School?” by Will Richardson. 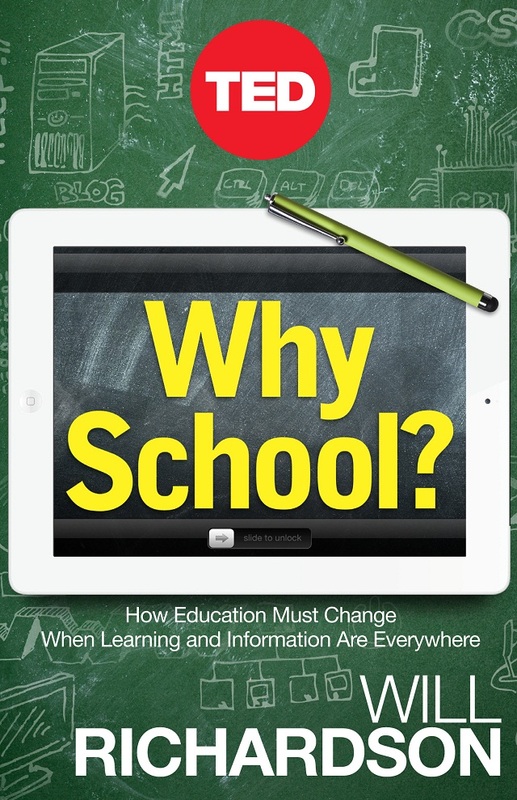 The subtitle reads: “How education must change when learning and information are everywhere.”. I am hoping it will give me some guidance on how to be the type of teacher that students would want to traverse a mountain path, or cross a flooded river to learn with. Why School? What keeps you returning to school every day? Previous postWhat Are You Teaching? I’d cross a flooded river to learn with you… and you know I hate getting wet! I wonder that sometimes too. I have friends who homeschool and i read unschooling and worldschooling blogs. And yet as a teacher I still feel sure that there are important benefits of school, even outside the academic. That book looks interesting.